Each year, we have so much fun with birthdays. I always enjoyed birthday parties as a child and although I don't go all out like my mom did, I still make sure birthdays are fun for my children. This year, I wanted to have a princess type of party for my daughter, who was turning 6. She is all about being a princess and dressing up so I did a bit of research and found some amazing party ideas. One site that I love for all things party is Birthday in a Box. Not only do they have birthday tableware and decorations, they also have some really amazing costumes! Do you like dress up birthday parties? If so, then Birthday in a Box is a site that you should really check out. The prices are very reasonable as well, which surprised me. 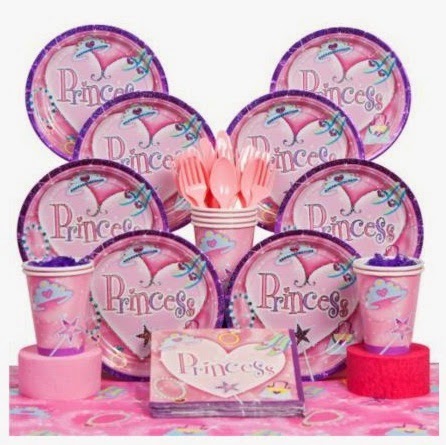 So, in getting back to my desire to have a princess party, I turned to Birthday in a Box for Princess Party Ideas. I was floored at the amount of items available. I wasn't having a huge party for my daughter so I didn't need much. 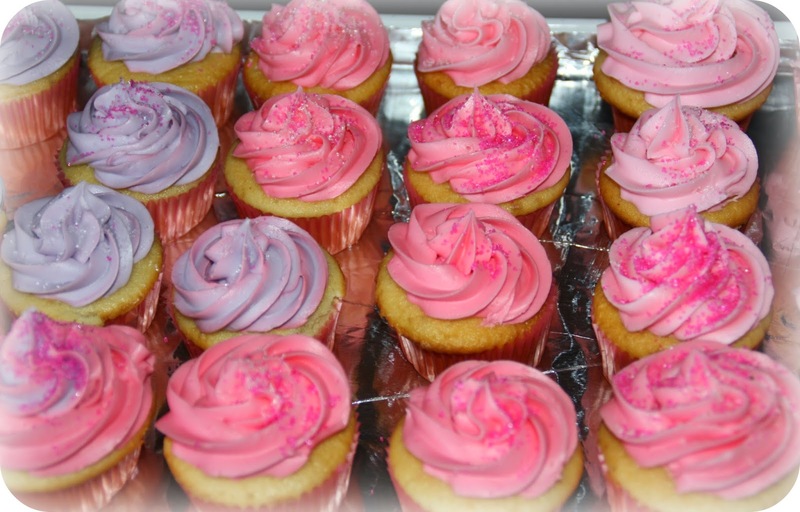 For the cake, I ended up doing cupcakes, decorated in pink and purple frosting with white and pink sugar sprinkles. They turned out amazing! What I really wish I had for her at the party was a princess costume. If you are looking for a costume for Your Little Princess, this site has it all. From fairy tale costumes to Disney princesses, they have what you are looking for. So, for the purpose of this review I was sent the Fuchsia Fairytale Princess Kids Costume and it is GORGEOUS. When the box arrived, I was impressed with the packaging. This costume comes on a hanger, in a plastic garment bag to store it in and also to protect it during shipping. I thought that this was very careful shipping and also helpful for me when it comes to storing this costume. This dress arrived last night and my daughter begged and begged me to get it out for her to wear. This morning, you can probably guess what I was doing. Yep...getting out this costume for Hannah. She was ecstatic! This costume has some pretty embellishments and lots of sparkles. Perfect for any princess. The roses are so feminine and add such a great touch to the entire costume. So, once my daughter put on this costume, there was no taking it off. She has literally worn it all day. The only time she took it off was to play outside and take a nap. Other than that, she wore it constantly. She was also pirouetting all over my house, swirling and twirling the skirt. :) She is such a girly girl. So, I would have to say that this costume is a huge hit with Hannah. She loves it. For your next party or holiday function, be sure to check out Birthday in a Box. They have Christmas party supplies as well so make sure you see what they have to offer.